The licensed dental hygienist is a key member of any professional dental office… and we’re fortunate to have three of the best in the Kansas City area on our dental health team. Lindsey, Jennifer and Erin provide clinical, educational and preventive services that promote a lifetime of excellent oral health for our patients. Jennifer Bell joined us in 2014. She is a Registered Dental Hygienist with a degree from State Fair Community College and is continuing her education at UMKC School of Dentistry’s BSDH Degree Completion Program for Dental Hygienists. Jennifer is actively involved in volunteer work for dental health, church and the Grain Valley community. She and her husband live in Grain Valley with their two daughters. Jenn Koehn joined our team in 2017. She attended Emporia State University before transferring to Wichita State University for hygiene school, where she graduated with her BSDH. After graduation, Jenn worked for over 5 years in Wichita (with 4+ of those in public health). She is a member of the American Dental Hygienists’ Association and is licensed in Kansas and Missouri. She now lives Kansas City with her husband. Erin Dercher joined our practice in 1998. She attended the University of Kansas before entering Hygiene School at the University of Missouri-Kansas City School of Dentistry. 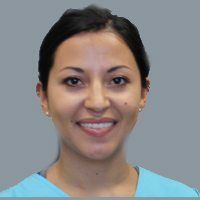 She is a member of the Greater Kansas City Dental Hygiene Society and the American Dental Hygienists’ Association. She enjoys spending time with her husband, Dan, and their three children.